Hey everyone! In today’s episode, I share the mic with Tim Schmoyer, CEO and founder of Video Creators, which grew out of something organic and is now one of the leading businesses that seeks to help others create financially viable YouTube channels. 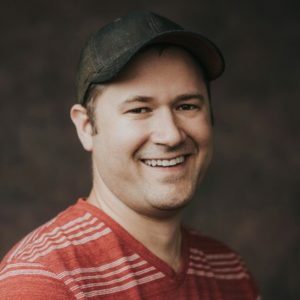 Tune in to hear how Tim helped a CEO build a channel that gets 30M views a month from scratch, how he’s helped people further their own lives and careers with his videos, and how you can make money using a number of revenue streams. [00:52] Before we jump into today’s interview, please leave a review and rating and subscribe to the Growth Everywhere Podcast! [01:42] In 2005, Tim was dating someone he wanted to introduce to his family, even though they were far apart. So, he uploaded videos to YouTube for them. [02:33] The videos became popular with people other than his family. [02:50] He started YouTube’s first educational channel about how to make videos. [03:00] Now, he has worked with top 50 brands in America and other large corporations. [04:02] He has two channels, because each channel targets a different demo. [04:30] The video creator channel is all about creating great YouTube videos. [06:00] Both channels make money, but there are lots of different revenue streams. [06:25] AdSense is passive, product sales, consulting work, paid brand ads, etc. make up Tim’s different revenue streams. [07:30] Tim also uses affiliate marketing. [08:25] 30% of revenue is thanks to product sales, 30% of revenue is consulting, and a big chunk is live events, brand deals, AdSense, etc. [09:20] When working with a high-level CEO, he helped him figure out how to create a YouTube channel and action plan. [09:50] By the end of the year, he had 30 million views per month and $50,000 per month in AdSense Revenue. [11:24] Tim likes that his videos have had a personal effect on a lot of viewers. [12:25] He likes that his channel has helped people further their own lives and careers. [14:15] Tim would rather spend his time helping creators that share his values. [15:00] There are no hard and fast benchmark numbers. [15:15] For instance, one person had 6.5 million viewers and Tim helped him build a team and fix his business model. [15:52] Now, the guy has a full-time staff of 20 and shoots once per week. [16:40] However, people with 100,000 subscribers can make more than people with a larger audience. It’s all about your business model. [17:47] Captioning will increase your watch time. [18:30] Put time into your thumbnail and title; make sure they are accurate and descriptive. [19:50] Plan a hook before you get started. [20:00] Cut more often; don’t just have a static shot the entire time. [21:45] YouTube’s algorithm collects content that people want to watch. Your actual content needs to be optimized to hold people’s attention. [22:22] Learn how to tell stories that get people to feel something. [23:05] A good book that helped Tim get started is Long Story Short by Margot Leitman. [23:40] Margot Lightman has won storytelling contests. [24:00] Another book he likes is A Million Miles in a Thousand Years by Donald Miller. [24:20] Building a Story Brand also by Donald Miller is another helpful book that Tim enjoyed. [25:00] Eric feels his channel is struggling and doesn’t know what it is. [25:40] Tim feels podcasts don’t tend to do well on YouTube (because of the static image, which is the worst way to do it). [26:20] Make sure your audience feels they need to watch all of your videos; deliver value. [27:45] Optimize your videos for people, not for YouTube. [28:45] Keyword matching doesn’t exactly exist, because Google uses “intent”. [29:30] Eric’s thumbnails all blend together. [29:42] Each video needs to be represented differently. [30:45] Design unique thumbnails, pitch the value, and tease the story. [32:07] One new tool Tim has been using is HelpScout. [32:27] He uses it to manage the main email account. [33:30] Tim would not pay for advertising at the stage that Eric and Neil are at with their podcast. [34:10] Putting money on top of posts that aren’t getting results won’t help. [34:40] Focus on organic growth before you pay to promote something. [35:20] Paid ads will get you new viewers, but not necessarily engaged viewers. [36:10] Tim recommends everyone read Primal Branding. Scott D: So that got me thinking, "Hey, I think I have a product here." That's kind of like the journey. Wicked Reports started right there. Eric Siu: Great. And so, just to even preface this, a lot of our clientele in the agency side of things ... people are always like, “You know Eric, we got this attribution problem. We just don't know how to tie what to what.” Even in today's [inaudible 00:05:56], a lot of these are SaaS companies. They raise venture funds and all that. So, I guess the question for you would be ... this is passing the ball back over to you ... How does Wicked Reports work exactly? How does it help people? Scott D: Well, we've been around just under three years. We've been able to track ... I think it's 1.7 or 1.8 billion in SMB transactions. So, it's not like we have one big business that did a billion, and then a couple other businesses that did a hundred million. It's like about a thousand business ... actually maybe a little more ... that have done all their little small, medium sized transactions. We've been able to see patterns. What we were able to find was from the first click to the first purchase, the average was 44 days, which blew my mind. So that means half of the people we've tracked, their average is longer than that. And so, we had to figure out a way to be able to answer questions. When I was an Infusionsoft consultant, I was running paid campaigns back then. It was like, hey where did we find these new leads that are now buying? Where does this great, high value customer come from? And, the existing platforms try to track based on the last thing that happened. And, that is helpful, but it doesn't answer, "Where did you find them" because you're not basically gonna find someone, and convert them to a sale immediately, regardless of whatever guru of the month is telling you. It just doesn't usually happen. So what I ended up inventing ... and it's actually just about patented. It takes like three years to get a patent, and I think it's a month away, maybe two months ... was the idea that we can wire into your email system and figure out when someone was created, and then we can look at everything you're doing, either email, Facebook, AdWords, social posts, Instagram, podcast, whatever, and put timestamps on everything, and then compare it to when they were created in your email system. If it was before they were created in your email system, then it is more likely than not that that was what created the new lead. And then, when we detect sales weeks or months later ... hopefully weeks but you never know ... we can track that revenue back to that point that created them in your email system because that's where you found the new lead. And then, when you wanna find new leads, you go and say, "Hey, what worked on finding new leads that buy in the past, because I'm gonna go back there." Almost like a fishing hole. It's kinda similar. "Hey, that's where I found all these fish. Let's go back there and fish again because it took a while to catch them, but when I did, they were great fish that were tasty at dinner, and they were plentiful. It just took a while to catch them, but now I know I can go back there." There was nothing like that that took the concept of time that it takes to close someone that did it effectively and easily without the business owner having a lot of work to do, a lot of configuration and risk, a lot of pixel tracking, which is tricky because people are on recurring billing, or you take an order over the phone, or your orders are in Stripe, but your CRM is Infusionsoft, so it's not connected. There's all these things I had to deduce, but I was able to do it because the obstacle is the way. You kind learn as you go that you need to have it soundly based in math, and then translated in a way that SMB can make a decision. So, that's kinda how we came about with attributing, based on, let's look at what happens in the CRM, and what happens in the order systems, and then layer over all the info of the inbound clicks or custom events that happen, so we can answer questions that grow businesses. Eric Siu: What kind of people are you targeting here? And then also, how do you generally charge? Scott D: So, I'm finally happy with our pricing model. It's very tricky to price in any business. I empathize with everyone going through it. We've gone through a couple pricing models. We're finally happy. Ours is tied to the revenue that you generate. So, we charge based on revenue generated in that you can have unlimited users, unlimited tracked events, unlimited everything. If your business doesn't grow, we don't get to charge any more money no matter what. All our features are unlocked. You can use all of them to grow. And so, we started 199 a month, up to a million dollars of annual revenue, and then every additional million dollars is $49 a month. So it was like .04 ... It was like some infinitesimal amount that could give us a little bit of profit. At the same time, we had skin in the game with the business we're in. I could go upstream and just serve bigger business like where I used to work and live in Motorola, and Apartments.com, but I'm really committed to that half a million to 25 million dollar businesses that need the edge data can give them, but it's hard to get the right sata and then act on it. So, our laser focus is there. Eric Siu: Great. How did you go about coming up with the pricing model? Scott D: So, I ended up ... A friend of mine in Boston, goes by the name of Patrick Campbell, he runs a company, Price Intelligently. He has two companies, and one is Price Intelligently, one is ProfitWell. They have a pricing methodology. We actually went to one of their pricing workshops. You survey your existing customers with a specific process. One interesting thing is, the survey is very ... what's the right word? It's very deliberate in how it asks questions, so you have to rank things against themselves, so you have to choose a best and a worse, rather than saying, “Oh, I like all these options." And so, one of them is, “What's your willingness to pay based on features, or based on what's called a value metric?” For us, the value metric is, we're trying to grow businesses faster using data, so we need to actually have skin in the game and say, “If your business grows, and then we get an extra $49 every million dollars you make," that's a pretty fair trade in value, I hope. And if not then you know what? We're not for you. If you can't agree with that equation, and you can't value data at $49 per million dollars of revenue, then there's nothing I can do to help you. It's just not gonna work. So, it was through talking to our customers, and seeing what they value, why are they using marketing data, how do we get around what they value and how we can provide it. Eric Siu: Love it. That's awesome. Yeah, definitely check out Patrick's stuff. He's been on this podcast in the past. Pricing, super, super important to lever. Scott D: I didn't know that. That's awesome. Eric Siu: Yeah, he's great. So, going back to ... Right now, what ad platforms do you integrate with, and what are the plans for the future? Scott D: So, we integrate with Facebook very deeply. We're a Facebook marketing partner. We auto track your Facebook ads, so when you authorize your ... You OAuth, it's called. It's a techie term. But basically, with a couple clicks, you've said, "Hey, Wicked Reports can pull my Facebook data." We are then going to auto track all your ads. We'll push up an ID that we can then deduce who you are targeting, what ad and what campaign, and that it came from Facebook automatically. We do that with AdWords also. We have a tracking template. Additionally, we push up your orders into Facebook if you opt on for that, so that Facebook can auto optimize whoever you're targeting based on who is most similar to your existing customers that are buying. So, it's a very powerful feature, and it also connects offline sales to online activity. We're the only people that I'm aware of that are using that for attribution. So, if you have a sale offline or online, as long as we set up to Facebook, we can connect it back to the ad that they were last seen. Currently, it's AdWords and Facebook only, and then we have ways to integrate with Taboola, Outbrain, and there's another one. We have ways to integrate with them using UTM's, and then it's a little more manual. So, it's doable but I like it when you don't have to do anything. As an SMB, you're busy. You don't wanna have another thing to do. But with our integrations, instead of make it one click and that's it. Eric Siu: So, is the goal to continue to stay with SMB's? Because, I see a lot of potential. I think we were talking about this before the call, how every enterprise mid market client that we're talking to right now has attribution issues, and I see this as the future. I'm sure you have competitors out there. Do you plan to stay with SMB? Scott D: My plan is to stay with SMB, but within reason. So, everyone has a different definition of SMB. For us, we want you spending $100 a day on advertising because that means we're gonna have enough data to give you a decision that you can either grow your business or stop wasting money within two weeks. And so, that gives us enough flow. We analyze again, almost 2 billion in SMB transactions to know, hey as long as there's $100 a day, we can definitely give you insights. Or if you have a massive following on social, and you're not doing paid ad ... which would be puzzling. You should do paid. But if you didn't, we could track is your Instagram profile bringing you money, or out of all these emails you're sending, does anyone care, and if they care enough to click, do they care enough to buy after? But, that's the kind of litmus test of a hundred a day, which I don't know how much revenue that means. Some companies are funded, some have different approaches to marketing. But, we like to say, "Are you spending three grand a month, which means 100 a day, on paid acquisition. And if so, then we're gonna be a good fit for you." Eric Siu: Makes sense. And so, even the Outbrain that people use, maybe even other channels too, if people wanna add in LinkedIn, for example, is it just a matter of UTM codes? Scott D: It is. So, LinkedIn, we're looking at integration there because we're sniffing around and advertising there ourselves. UTM codes work fine with ... We don't generally need UTM codes for a lot of the systems, but we try to make it easy so that you don't need to worry about doing that stuff. But with LinkedIn, if you use UTM's, you can then track the performance, and then you can take any set of UTM's and punch in the cost, and then we can show you actual ROI. Eric Siu: Makes sense. Okay. What kind of numbers can you reveal around the business day. How's it doing, all that other kinda cool stuff? Scott D: Sure. We're at 1.2 million ARR. We have 392 or 393 customers. We've been in business about almost three years, and we've basically doubled each year we've been in business. When we first started out, we only integrated with Infusionsoft with its very complicated tech criteria. The first year as a SaaS, we did maybe a hundred and something grand while we were like hand in mouth, just getting this thing going, and learning every customer, what we needed to do. And then, we gut overhauled the platform a couple times to now, where I'm finally content with it, which took forever. Well, it feels like forever. It took three years. But now, our actual integrations are seamless. We have a Zapier integration. The tech behind Zapier is called HTTP Post. So, if you're not doing Zapier, you can set up a basically URL when someone orders or opts into a list, and send it to us. We have CSV uploaders, so we can integrate with any system. And that's recent. Only two weeks old. We used to only maybe be able to demo one out of every four people that came to our site, getting interested, because we asked them, "Where are your marketing leads coming from and where are your sales coming from?" And then if they pick things that meant we couldn't integrate or it was gonna be difficult because they had an API that you had to go wire that up, then we wouldn't give them a live demo. And so now, as of a week ago, we can demo anyone for any reason. Eric Siu: This definitely works for anything. Let's say you're doing Stripe, let's say you're buying eCommerce products, or even software, for example. But for us as a services based business, at least the [inaudible 00:17:51] side, you are saying now that we can use Zapier, and then hook it in with a QuickBooks invoice, for example, and that will reflect inside of Wicked Reports? Scott D: Exactly. So, we have ZAP's for orders or for contacts. So, as long as you can map the fields we need from the other system, which is QuickBooks ... I didn't even think of that. The possibilities are endless. You can have a Google sheet, and you just paste in things that we then wire over based on ... It is unlimited. And, that's been a big governor on growth but at the same time, it forced us to get really good at, how do we translate this data into action so that someday when we can take in any data, we just don't wanna show you a pie chart or a grid that you gotta go watch 10 hours of courses in. I love course and love learning, but we wanna make it for Wicked Reports that, can we get you to make a decision fast without having to do a lot of learning? I love teaching, and I have all the coursers available, as do you. You have some great courses, Eric, I think as well. But, some people, they're just like, "Hey, yeah great. I bought this though and I want value. I don't wanna have to go think more." So, that really put a challenge to us like, what questions are you trying to answer here, and can we translate all this data into answers? That's where we put a lot of focus on. Like our Wicked Reports, I call it 2.0. Our big evolution of the platform is arriving June 1st, so this is a timely podcast where it's like the product is finally done on all fronts. I'm really giddy. It's a lot of work. Eric Siu: That's so cute. The fact that you just told me that right now makes it much easier for me to recommend the tool even more because I thought there was some limitations around service based business, but now it's just like, "Hey, just go to Wicked Reports." So thank you for that. But, let's talk about V2. What is V2? What do you have coming down the pipeline? Scott D: So, one thing we have is the ability to track basically anything. So, it's always bugged me that you have to click on something, and then we know something happened. But at the same time, if you view something, most platforms aren't gonna give us the view, but a lot of marketing occurs in a lot of different ways. For example, one of my clients is a guy, Jason Moore from Modus Operandi Wine Cellars. He's in Napa. He's got his own small wine brand, which I love, by the way. So, he's doing wine events. And so, he's doing an event in person. These are probably gonna be valuable because you have a wine tasting. People buy a case, hopefully, or a bottle, or maybe nothing. But maybe because of the tasting, they end up buying, but we couldn't show that value, and it's a key part of his business. And so, what we came up with was this idea of custom events. You can send us basically the fact that something happened to someone, and call it whatever you want. So in his case, I hosted this wine tasting the other night at my house because he happened to be heading out to Nantucket for the Nantucket Wine Festival this weekend. He was coming into town, I loved his wine, hosted wine tasting for my friends. So, he can take those emails in his CRM, and trigger a HTTP post. We have the ZAP also, so you can ZAP anything. He's just gonna put in, "Wine tasting at Scott's house," or whatever he wants, just whatever is gonna make sense to him, and then he can punch in however much it cost. Let's say it was $1500 in wine. I don't even know what it costs. So he punches that in, but then the emails that he sends up, we have that attributable point in time that they were at my house at a wine tasting. And then if they end up buying, which people did buy ... my friends, the ones we invited, ate pretty into wine, so I'm hoping he did pretty good ... but if they recur a bill, or he charges them, however he's doing it, we'll have it back to that wine event as how they first started buying or first heard about him. And so, this is a huge deal because service based businesses where you have to do things that are never gonna have clicks, or like a lawyer office where you have a sit down meeting, or doctor appointment before they're gonna have maybe an expensive process or surgery or whatever, all these things are like Wicked Reports. We have demos, which maybe people then hopefully clicked on, but then the salesman had to rebook them. We wanna see the real timeline of what happened. We'll be able to track all these things just as if it was a click, so that's a pretty big deal. I'm really excited about that. Eric Siu: Awesome. So, that's coming down the pipeline. And then the pricing, you guys have already figured that out. Is there anything else that you guys are adding? Any other bells and whistles? Scott D: There is. There's actually three other monster things. We've been quiet, and we're a big product driven, tech driven company. That's what got us to 7 figure ARR, was pretty much all strength of product. Our other one is we have the concept of benchmarking. Leads take time to buy. As much as you hope you can get them to buy right away, you can do a Tripwire that funds your offer and all of those different things, they're all wonderful. But the fact remains, if you're a niche brand, you're a small business, you're advertising online, it takes a little while for a new lead to become a customer. And so, what I was challenged with was pre Wicked Reports 2.0, people would buy, they'd come in and look at data, and it all showed negative 100% ROI, or negative 90 or 80 because the new leads were taking two weeks to a month to buy. Hopefully as quick as possible, obviously, but they take a while. And so I'm like, "How can I help people while they're staring at a campaign and it's been a week, and a few leads have bought, but they're running in the red? What should they do?" What a lot of people do is stop running it because the leads haven't bought. Sometimes that's the right decision, sometimes it isn't. So it dawned on me, "Hey, I'm sitting on 1.7 billion in transactions. Why not bring in the benchmarks of how everyone that we've ever tracked has done trying to buy new leads, that have become customers? How did their campaigns look at one day, five days, seven days, these different time intervals for all these different stats, to give context to what you're looking at, so you're not just staring at a thing, trying to figure out, "Jeez my leads haven't seemed to buy that quickly. Do they normally buy fast for other people of either my business size, or all of Wicked, or my historical Wicked Reports data when I had this other campaign that made me 500%. Was it because they bought in 3 days, or did they take 30 days to buy? Give me some frame of reference and context behind what I'm looking at. So, I fell very passionate that this is a huge game changer for people to actually how they're doing. So, that one's a pretty substantial upgrade that we're giddy about. It's actually in test right now, and I'm dying to release it. It's a lot of data to vet that it's accurate, and that it's helpful, and is it gonna mislead people. Were basically showing you like, lifetime value of a lead at seven days is currently, let's say $10. Hopefully more, but let's say it's 10. Is that better or worse than average for everyone we've ever tracked, or for businesses of your size, or against other campaigns you've run based on that seven day point, and based on what you're trying to do, which let's say is new lead generation, or it could be existing leads retargeting, or it could be trying to get people to buy. So, you gotta figure the intent in there, which then changes how we track the data, which then changes how the benchmarks show themselves to you, all done in the background so you don't have to try to figure out what I'm trying to tell you. We intuitively try to set attribution and benchmarks for you based on what you informed us you're trying to do. Eric Siu: I love it. This is a no brainer. I'm gonna be talking about this a lot more. You're gonna be hearing about Wicked Reports a lot more. Scott, working towards up here. Just a couple more questions from my side. You said 392 customers, right? Eric Siu: How did you go about getting, let's just say the first 50 paying customers? Scott D: Yeah, so the first 50 ... I had done two other businesses. One was a contract IT programming firm which was doing well, but I just didn't love it. I wasn't passionate about building other people's systems where it was just charging for time. It killed me to charge for time. Nothing wrong with it. A lot of people do it. It just wasn't for me. And then, I had a meditation website that didn't do that well because I had really bad marketing ideas that I wasn't able to test. I had ideas I'd read online. I'd go test them ... Not go and test them, I'd go do them, and in hindsight, they didn't do that well. And so, when I had the lobster guy and we had that success, I was an Infusionsoft certified partner, and I went to Michael Edelman who ran the partner program. I said, “Hey, I'd like to run a webinar. I have an interesting thing. We can track the ROI of marketing.” He's like, “That sounds interesting.” So, I got on a demo with him, and he was excited. What I did was present to the Infusionsoft ... At the time, it was their mastermind program. You had to opt in. I think you had to pay to be in this program. From that, I sold like $30,000 in pivot tables, which is like a very rudimentary tech crazy way to try to interpret the data. It was a brutal upload process. It took me like six hours to update anyone's pivot table, and created a really nasty job for myself. But, I vetted the idea with paying customers. I see all these SaaS' that are like building stuff for free, and then they're gonna figure out how to get people to buy. I'm like, “That may work in a few cases. And when it does, you know what? It becomes news that everyone knows about because it's really hard to pull off.” So for me, I wanted people to actually pay upfront to prove there was demand, so I didn't waste a lot of time building something that no one would pay for, because I wasn't really sure. You have an idea, you're excited, you need to vet it out. And so from that webinar, I got maybe 10 customers. And then from that, I met Ralph Burns, and Keith Kranc. They're well known, their digital marketer podcast, and tier 11, and a few other things. They were really into what I was doing, so they probably brought me, I don't know, 10, 15 customers. And then from that, Frank Kern was using it. He would post on Facebook ... unsolicited, no idea. He'd post to Facebook live showing how to use our software, when I didn't even know. He didn't want an affiliate link. It was very nice of him. And then all of a sudden, people would be flooding us with demand. So, it was kind of a unique thing where I didn't have to reverse engineer my marketing funnel with my own data. It was like word of mouth that kinda ... It was such a pent up ... I guess it was what Gary Halbert, the copywriter, would say, “Show me a starving market,” and that's what I needed. That's where you wanna go. That's kinda what happened. Eric Siu: So, two things I'm hearing here. One thing is, I heard a kind of prelaunch strategy where you didn't really have the product, but you sold a bunch of pivot tables, and that validated the thing. A lot of people, I think, that the struggle or the problem is, they spend all this time creating this product and then at the end of the day, you spend all this blood, sweat and tears, and nobody wants it. So, you did it the smart way. You validated it first, and then you created a product. That's the first thing, right? Scott D: That's the first thing for sure. Eric Siu: Second thing is, you slowly, painstakingly reached out to some influencers in this base, and then on the basis of a strong product, word of mouth started happening, and then you guys started to get demand. So, those two things. Does that sound about right? Scott D: Yeah, and now that you mention that, I forgot a big third thing. So, I launched April 2015 at ICON. Eric Siu: What's ICON? Just for people to know. Scott D: Yeah, ICON was the Infusionsoft event. I didn't even know all the particulars of ... we would custom set up every tracking scenario because we were still learning as we went, so we didn't have it all figured out. So at the different booths, [inaudible 00:30:16] was at the digital marketer one. He would be at his booth back then. He was small time, for him. And so, I went up to him and I'm like, “Hey Ryan, how do you know which email made the sell?” At the time, they were selling an email follow up sequence called the Machine. It made them millions, or whatever. It put them on the map. He's like, “Oh, that'd be cool. We can't tell.” I was like, “Well, really?” And he was like, “Yeah. How would we be able to tell that?” I was like, “Well I have a way to tell it.” And to their credit, they were very open to hearing from an upstart, with my freshly printed Wicked Reports silkscreen shirt from like a week ago. I bought the domain three weeks before the event. They were very open to it, and they were like my 10th customer. They really got behind us, and stayed with all the iterations. So, having that backing was helpful, and that gave a lot of ... The influencers are very open to helping if you're going to help them. So, instead of saying, “I have a product and I want you to sell it. Will you pitch my stuff?” They get bombed with that stuff. I was honestly hopeful that he said he didn't have a way to track email revenue at the time, so that I could help him, and of course get him as a customer. I figured he would figure otherwise, but he was really like, “Wow, would this help my business. I'm excited. You can help me, so yes I'm interested in being a customer.” I would put yourself in that category too, probably. If someone came to you with some way that they're gonna be able to help you with something to grow your business, and it's novel, and it could be helpful, then you can get excited about it, and that can help that business grow because they're helping you and then you feel like, "I'll help you back." That was a key point of our strategy that wasn't even a strategy. It was in hindsight. It's what occurred. Eric Siu: When you look at it in that lens where you just go help people first, all the good things happen afterwards. And, it has actually happened between us because I talk about it all the time. I talk about it on the Marketing School podcast. We're talking about it right here. But I see now that you can try in so many different ways, I'm gonna talk about it even more. So, yeah. Scott, one more question for you. What is one must read book you'd recommend to everyone? Scott D: Oh man. That is so hard to pick one. I'm trying to decide. I think I'd go with The Surrender Experiment by Mickey Singer. Eric Siu: What's that one? Scott D: So, this is more of a spiritual self-help book, but not woo-woo. But, this guy was ... people that are getting into meditation, or they're spiritually seeking ... this book spoke to me particularly because, this guy was like 22 years old, Mickey Singer. It's an autobiography of his spiritual growth. What he had decided was, he was sick of always hearing his thoughts, or hearing his preferences come up automatically. You hear about mindfulness maybe, or you hear about maybe you should meditate. This guy was just irritated that whenever a topic came up, his mind would race in with thoughts, and opinions, and likes, and dislikes. It was driving him crazy, and he wanted to stop. So, he decided to surrender to whatever life gave him, and that was what he was gonna do no matter what. From that point in time where he decided that, he slowly grew a billion dollar software company, and sold it to Web MD. He's behind the scenes, talking about how he'd be presented with situations, and he wouldn't wanna do them because he was an introvert, but he had decided to surrender to life. I don't know, there's some specifics in there, but within reason, he was always just saying “yes” to whatever was in front of himself, rather than have a preference, and he scaled a billion dollar software company in the middle of nowhere Florida, and sold it. Eric Siu: What's the book called? I'm literally about to buy it right now. Scott D: Yeah, well there's two. There's The Surrender Experiment, and then he has another one called The Untethered Soul. Eric Siu: Oh, I've heard about that one. Scott D: Yeah, so that one ... The Surrender Experiment was him living the life that led to The Untethered Soul. So, I love that it's applied spirituality, real time, as he was faced with it. Not like a guru sitting in lotus, pontificating about how you need to live life. It was him, his challenges, and how he felt, and wait a minute, this is spiritual village building, and I wanna be alone in the woods. Scott D: He'd talk about his life. He didn't wanna be married. Now there's this love interest, but he wants to just meditate and build software. Scott D: It's fascinating. I can't speak highly enough about it. Eric Siu: That is amazing. I'm looking at it. Scott D: Great question. [inaudible 00:35:07] I'm happy to talk about it. Eric Siu: Wow, well this is a book I've never heard about before. I'm looking at Audible right now. It's got 3,000 reviews, 4 and a half star rating. So clearly, I've been living under a rock. Maybe I'm gonna get the other one two. I'm literally buying it as you're talking right now. But yeah Scott, this has been really, really good. I wish we could talk even more. Maybe we should do another one. What's the best way for people to find you online? Scott D: Wickedreports.com is always the best way. If you're interested in the software, we have transparent pricing, as I already mentioned on the podcast. Or, you can click on the demo link, and get a one-on-one demo, which will show you how we can help you. And so, if you're spending at least $100 a day on paid advertising, we generally can at a minimum find where you're spending on things that don't bring business, and at a more hopefully valuable proposition. We're gonna find where you should spend to find more customers that become high value over time. Eric Siu: Incredible. Scott, thanks so much for doing this. Scott D: Thanks, Eric. It was a blast. Appreciate it.